Historic sites celebrate defining moments in history, memorialize important events and people, and contribute to the character of the locations where they are situated. Heritage designation, both globally and nationally, is an inherently contested issue. As detailed in this volume, concerns of politics and identity, criteria for designation, impacts on communities and sites, and challenges to management planning are central to any understanding of the process by which heritage sites are created, developed, and maintained. The idea for this volume originated at a symposium hosted by the Savannah College of Art and Design. Contributors address such topics as the need to revamp criteria for designation, the effect historic site recognition has on local communities, the challenges encountered in maintaining a site, and issues linked to specific political climates or actions and group identity. 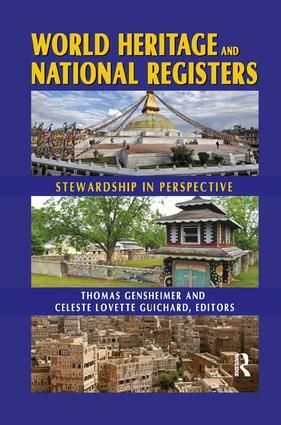 The contributors constitute an international cast of leading scholars, employees, and policy-makers, all of whom have had extensive experience with World Heritage and National Register site stewardship. The work will be an invaluable reference for historians, architects, and those committed to the preservation of national monuments. The Case of Harry S. Truman Historic District, National Historic Landmark: Catalyst for Community Preservation or Community Confrontation? Documentation and Policy Making: Preserving the Built Heritage or the Life Within?